College drinking has a sort of a stigma that goes along with it. When you hear the words alcohol and dorm in the same sentence, you’re probably picturing sloppy pre-gaming and are rudely reminded of the taste of bad, store brand vodka. You might even equate it with something a little more Animal House-esque. Honestly, it’s not that appealing. But it doesn’t have to be that way. You can be just as civilized as your parents, without shelling out all of your allowance for a fancy drink at a nice bar. You can make a sophisticated and delicious apartment-warming cocktail right in your dorm. Sending letters may have gone out of fashion with the advent of email and Twitter, but that doesn’t mean we have to send the Airmail Punch along with it. Airmail punch is fruity and sweet but strong enough to do the trick. And, with a name like that, it’s sure to be a conversation-starter. Hayley Daen is a sophomore at the University of St Andrews, where she lives in a dinky apartment right across from Tesco, which makes throwing impromptu tea parties a snap. I like this a to be a bit subtler and not quite as sugary, but feel free to add more honey syrup if you like a sweeter drink. To make the syrup: Bring water and honey to a boil in a medium saucepan, stirring to combine. Simmer for 5 minutes. Remove from heat and chill thoroughly. 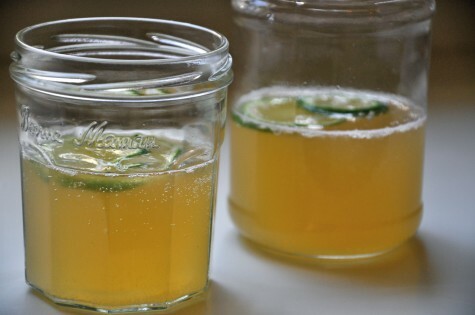 To assemble the punch: Pour rum, lime juice, and sparkling wine into a large bowl or pitcher. Add honey syrup to taste and stir to combine. 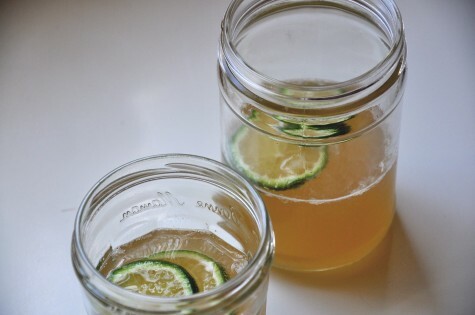 Serve in glasses or mason jars with lime slices and a postage stamp for garnish.